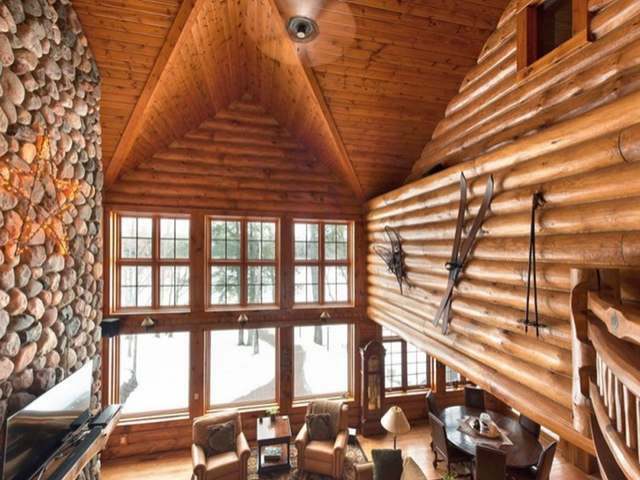 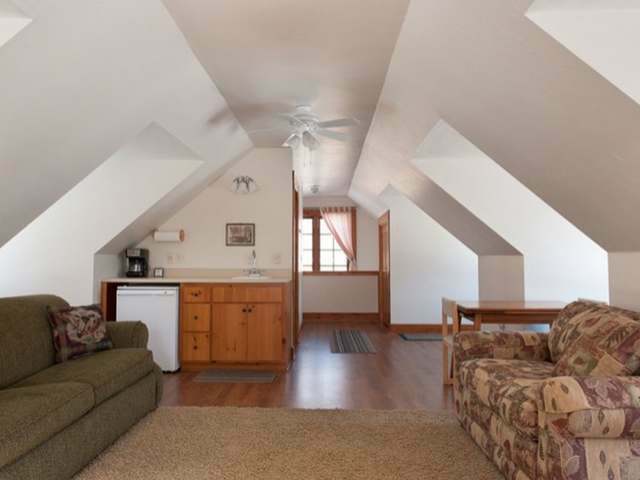 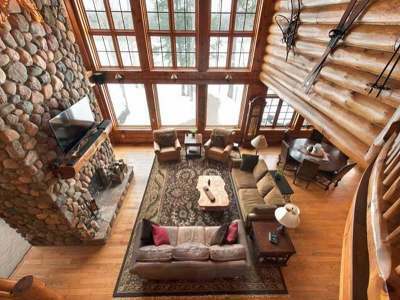 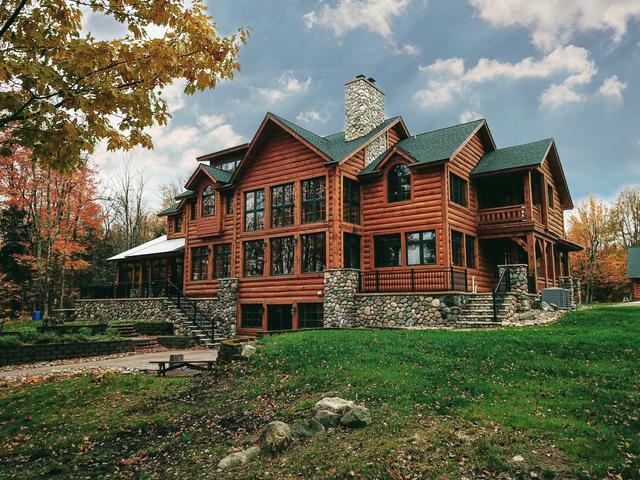 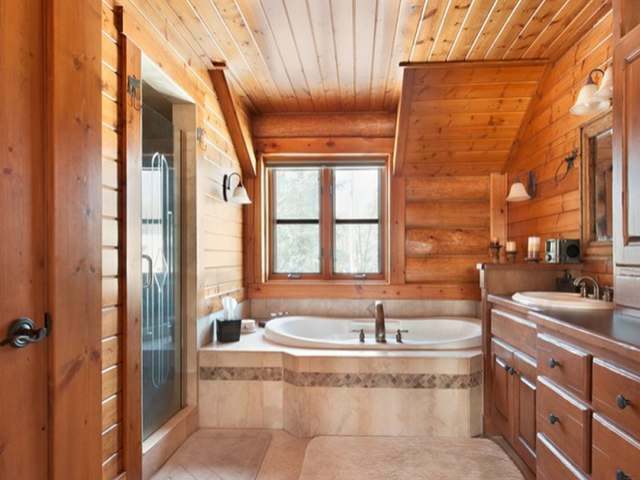 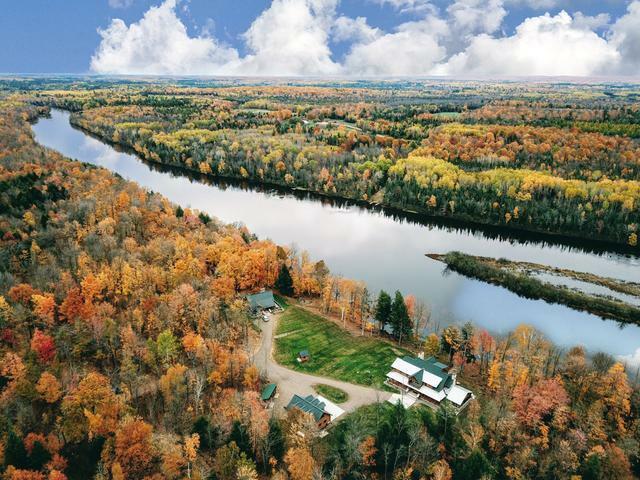 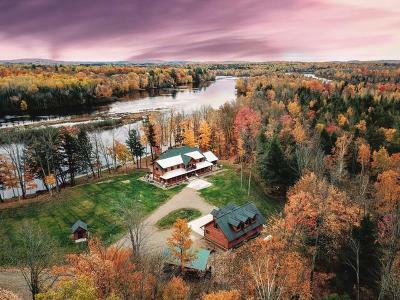 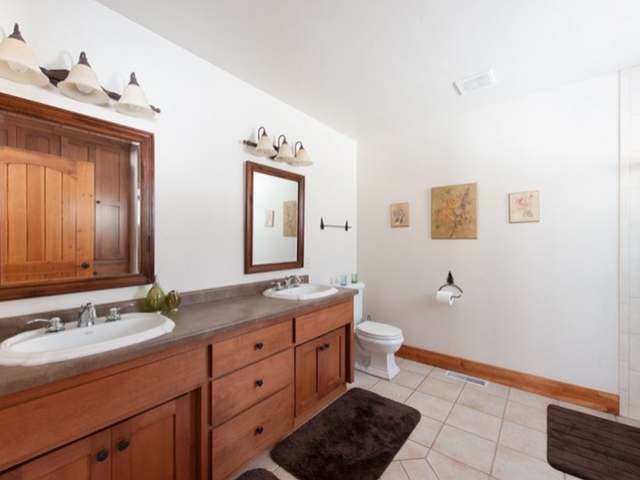 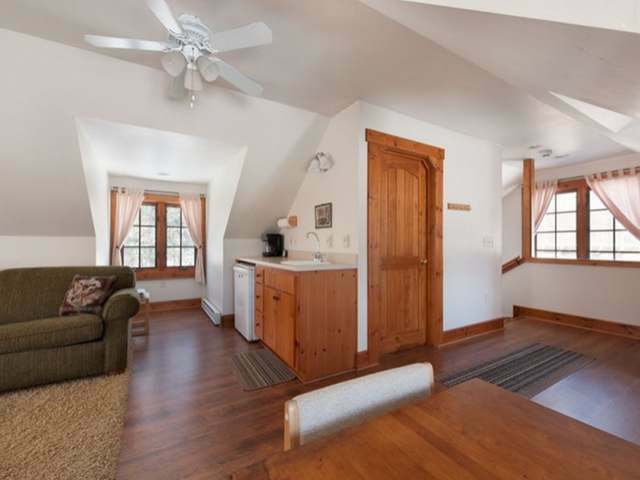 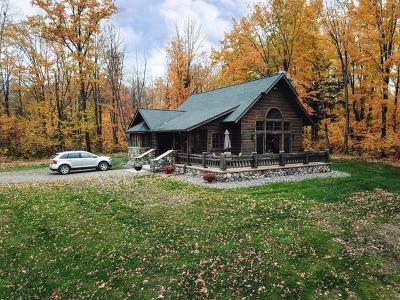 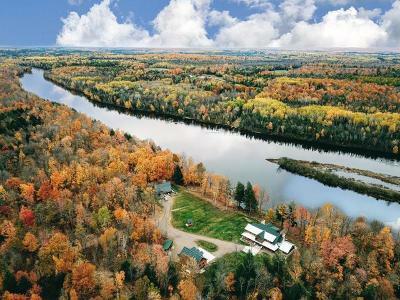 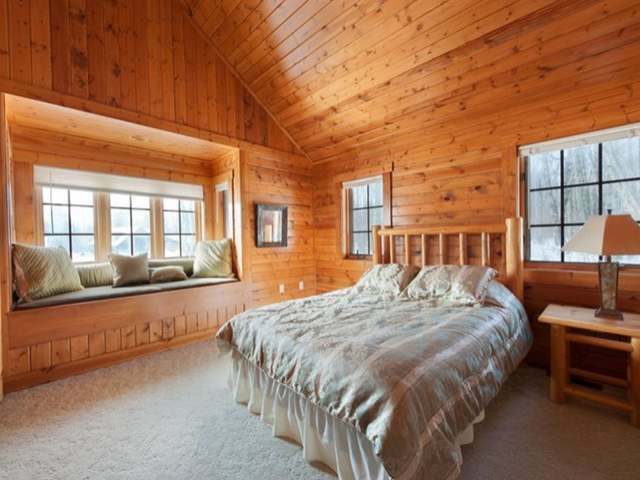 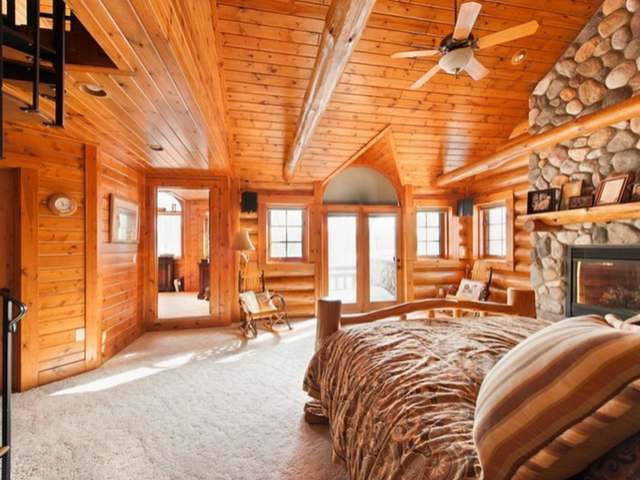 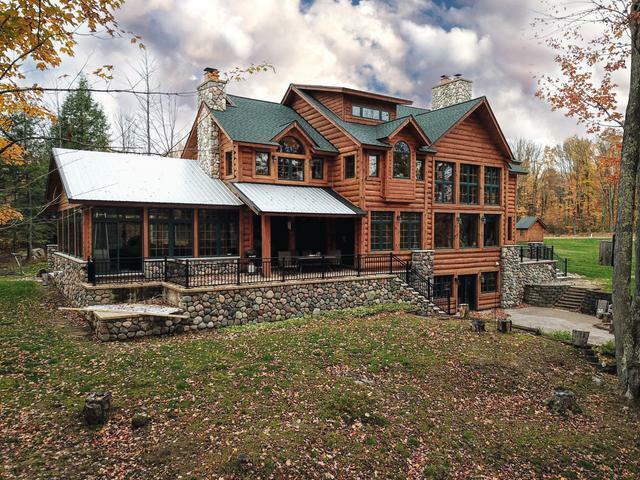 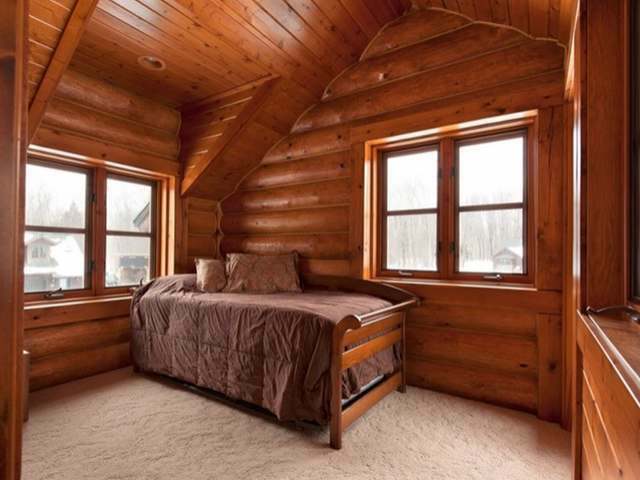 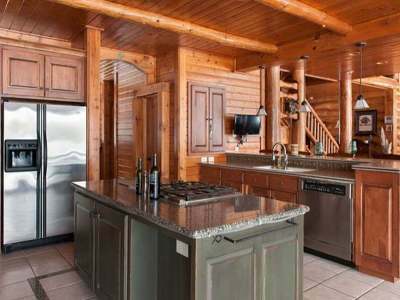 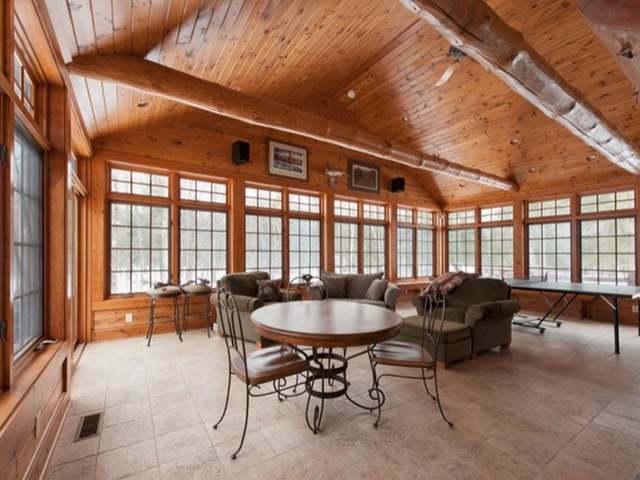 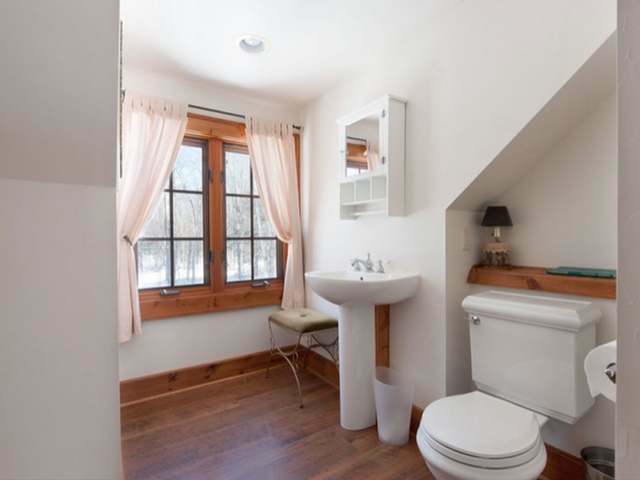 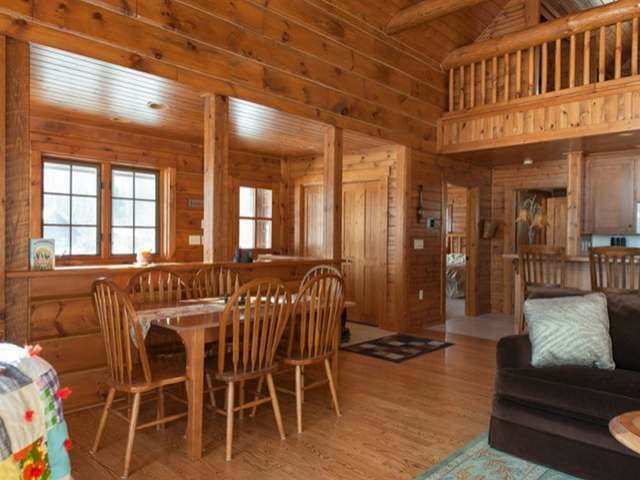 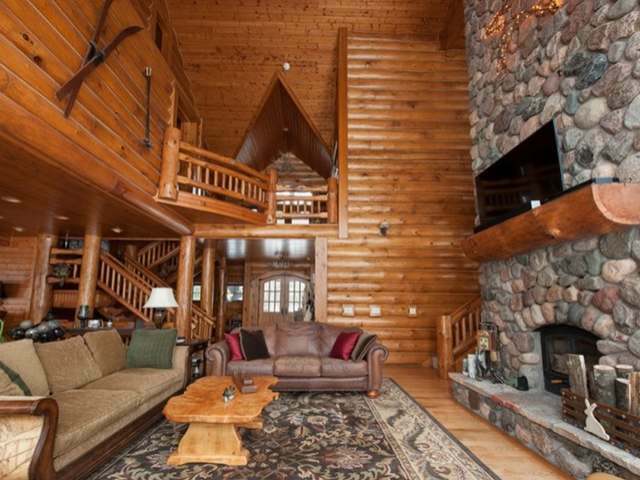 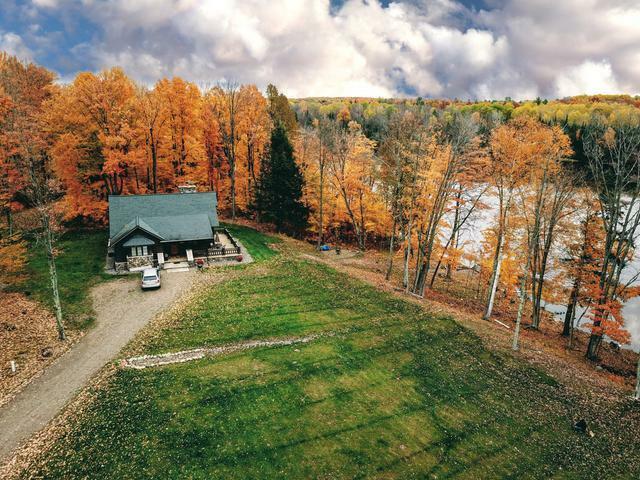 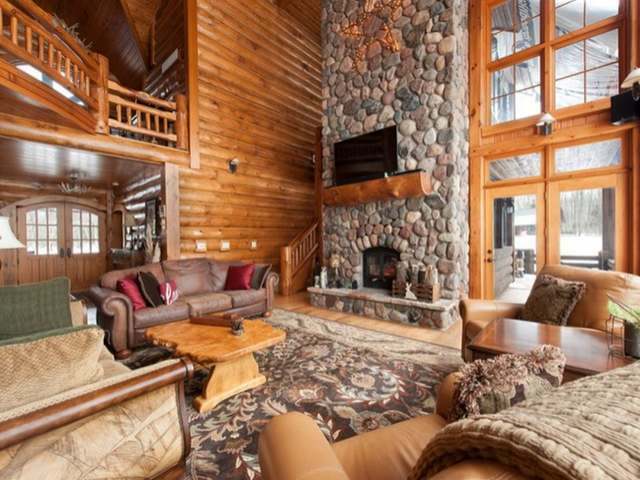 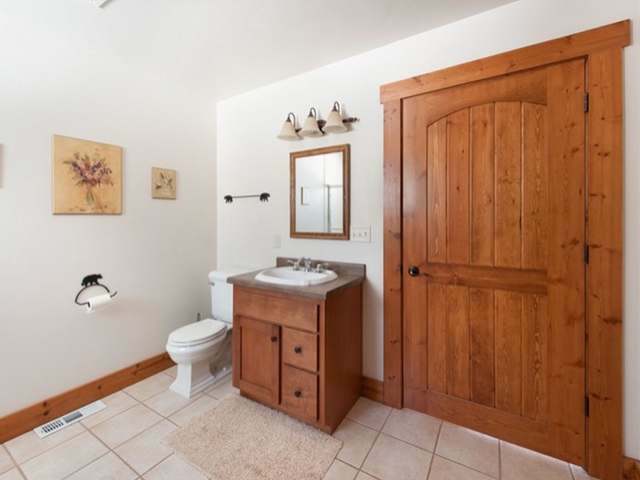 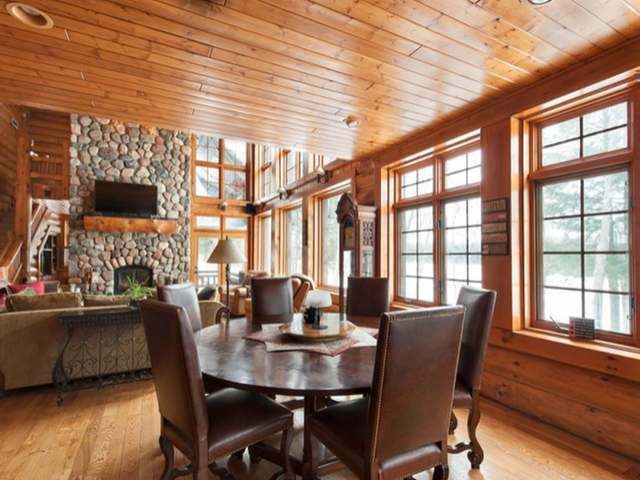 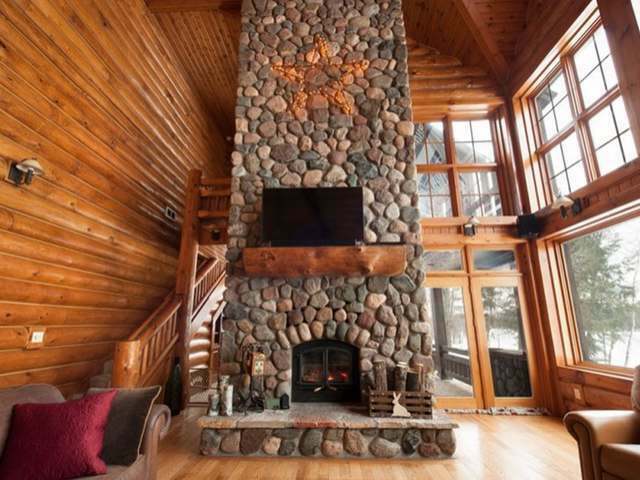 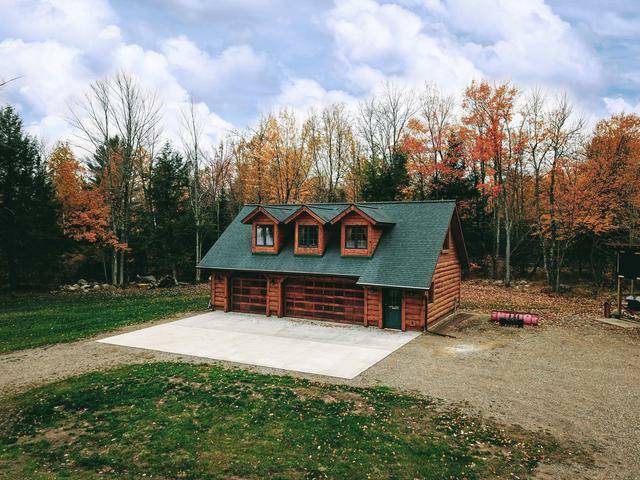 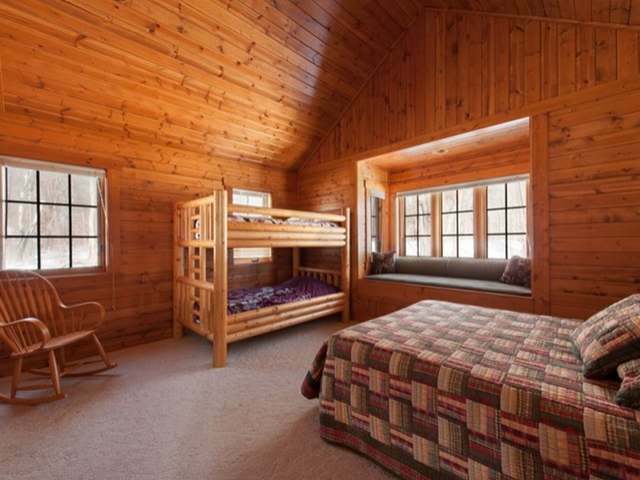 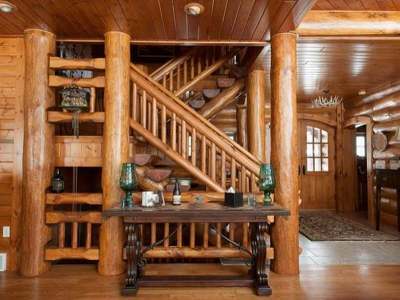 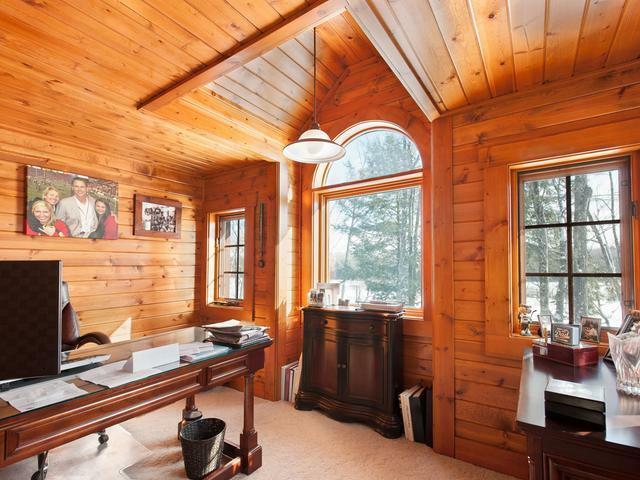 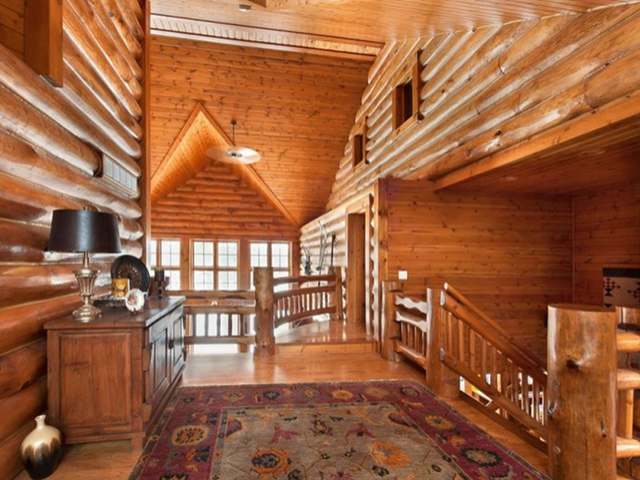 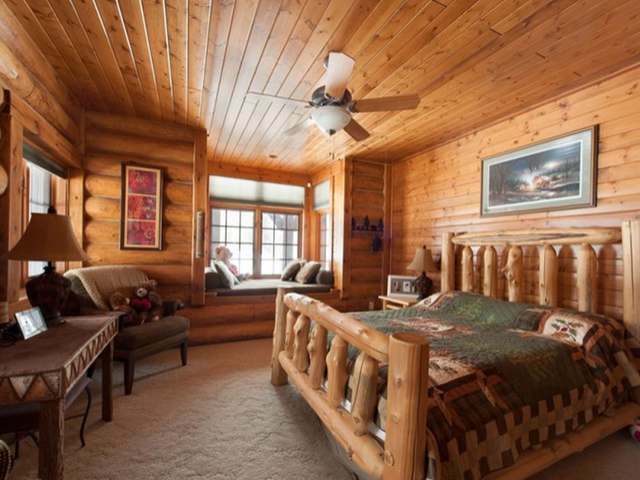 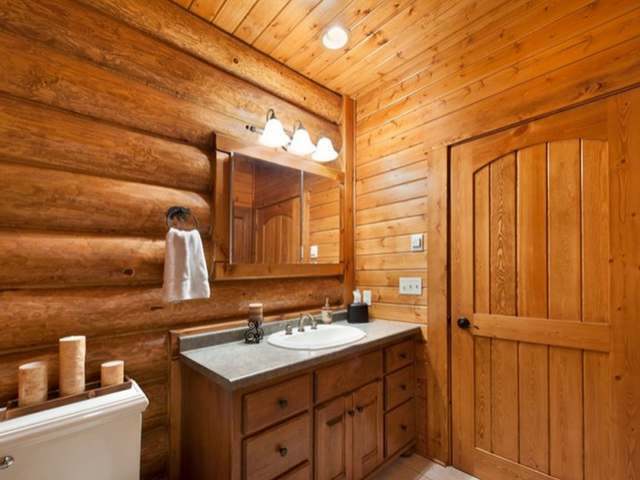 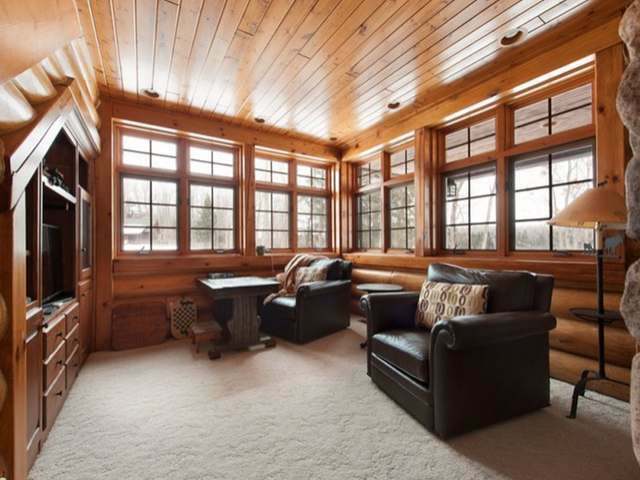 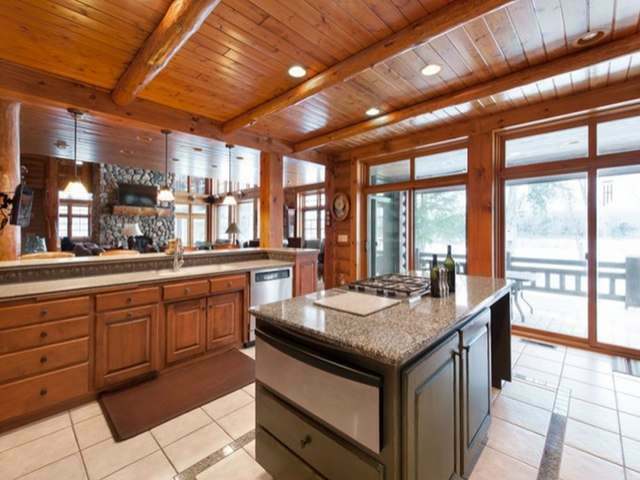 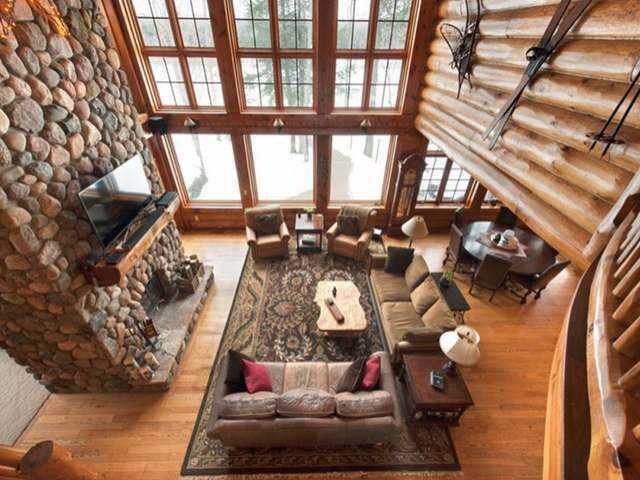 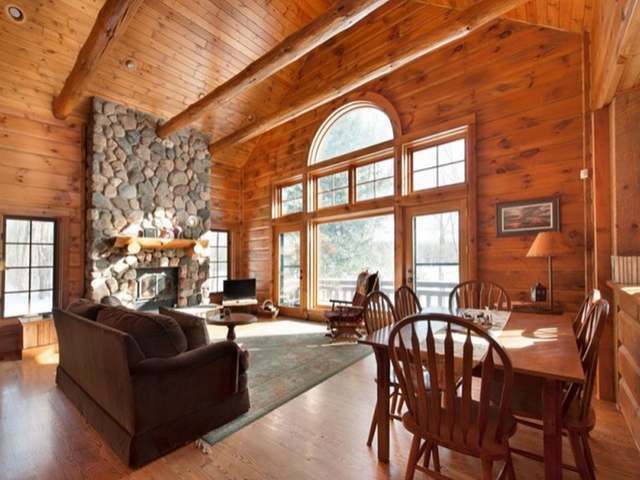 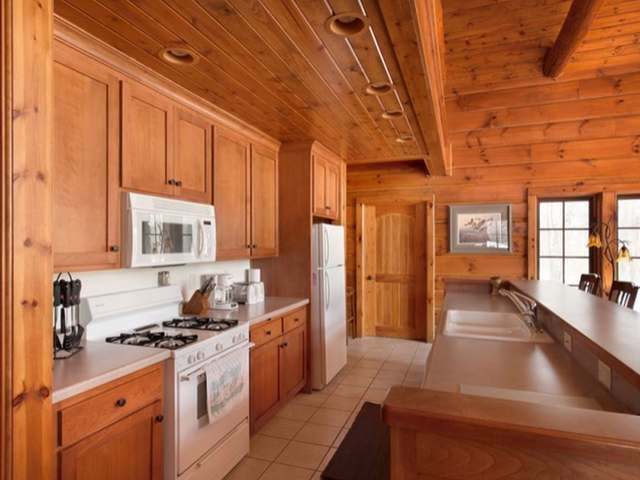 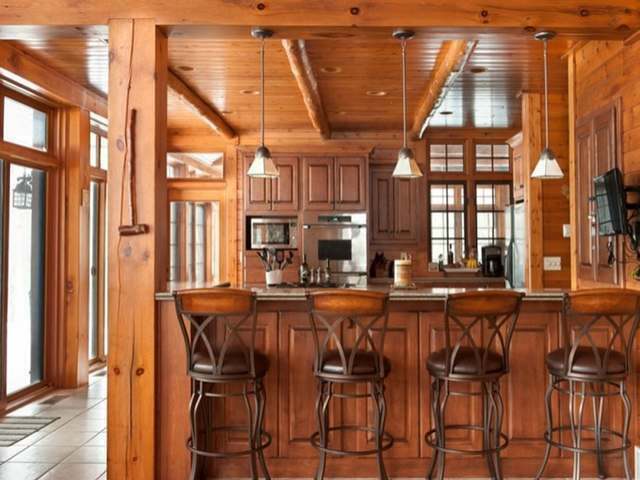 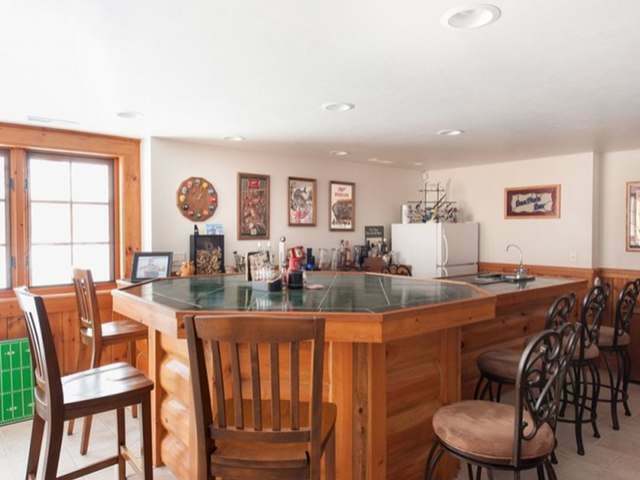 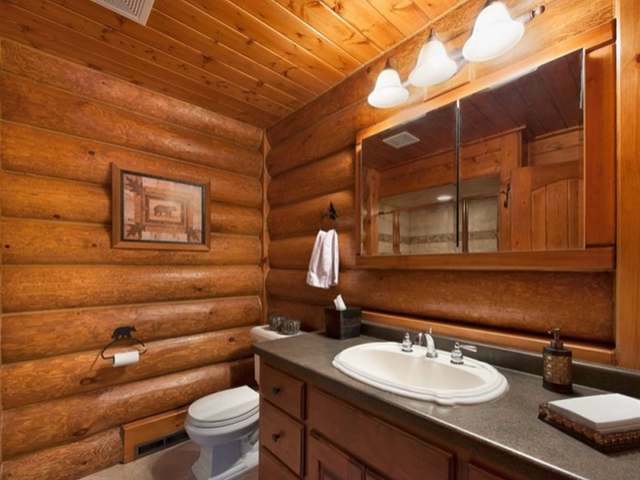 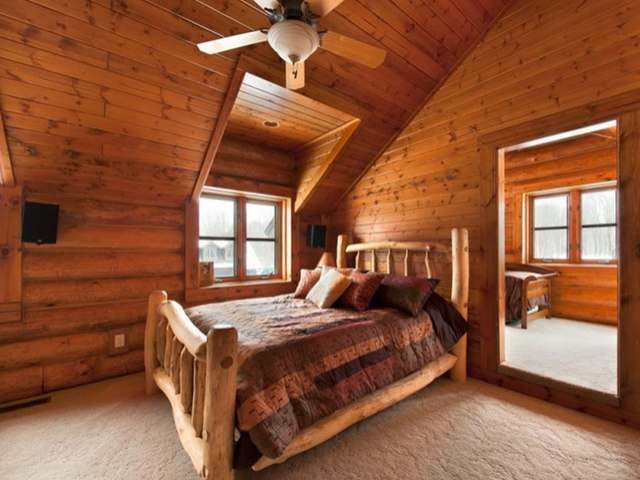 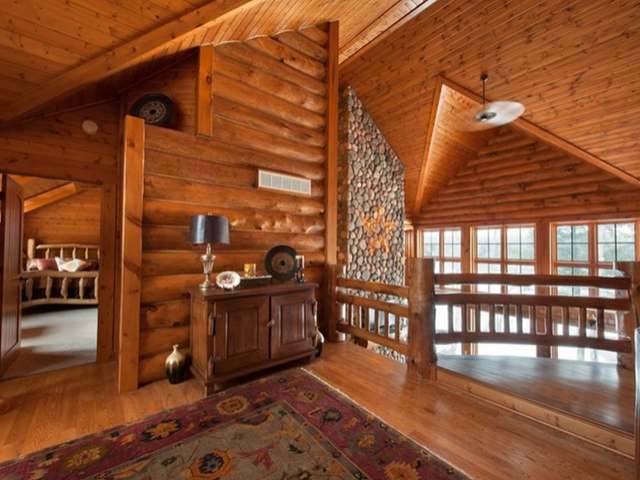 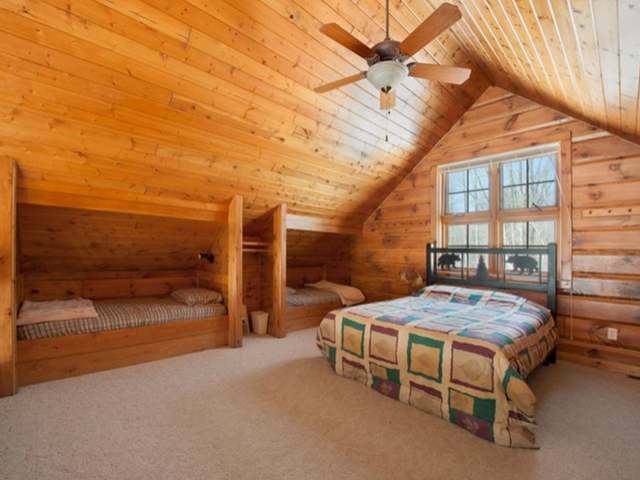 This spectacular property features a full white pine log home with 3BR/4BA, a 2, 200 sqft guest house, and a large studio apartment above the 3 car heated garage. 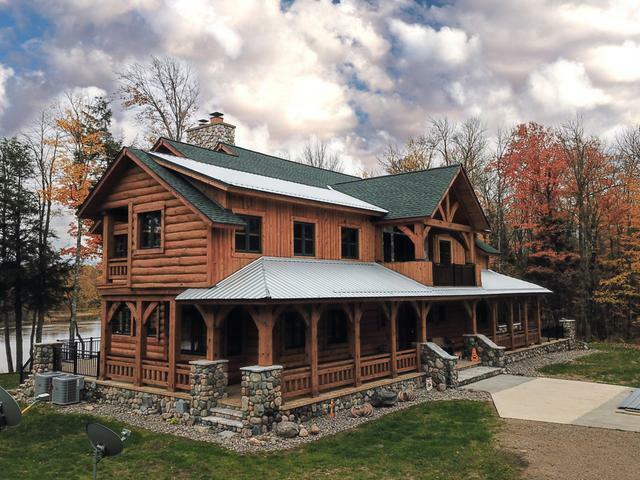 The main house contains a grand field-stone wood burning fireplace that spans the entire 3 stories, a full chef&apos;s kitchen complete with stainless steel appliances and granite counters, and 4 second floor balconies to take in all the views. 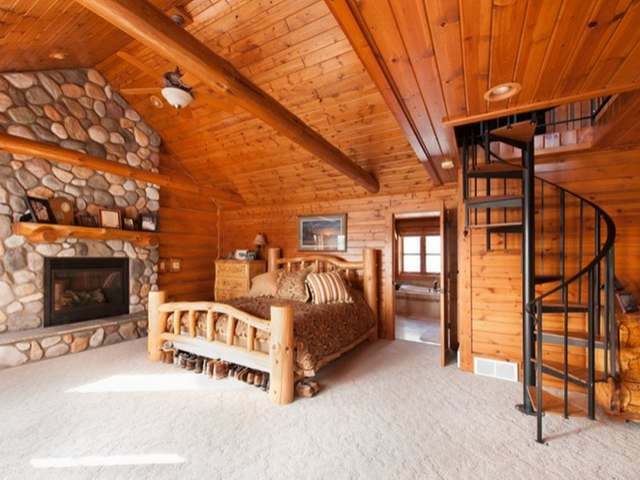 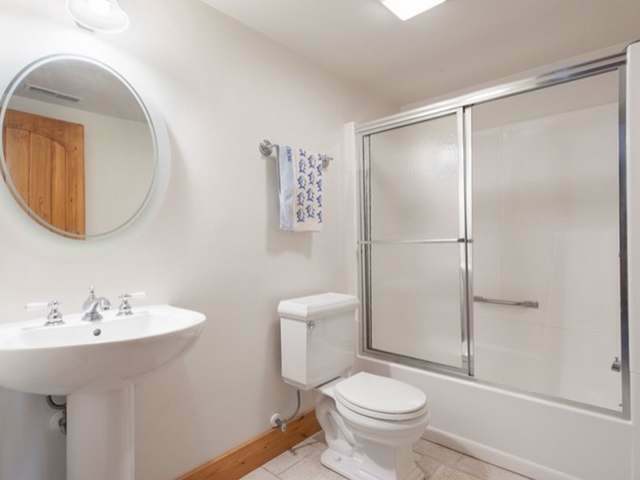 Each bedroom includes a bathroom, reading nook & lounge area, and the master bedroom includes a 3rd floor bonus room as well as its own gas fireplace. 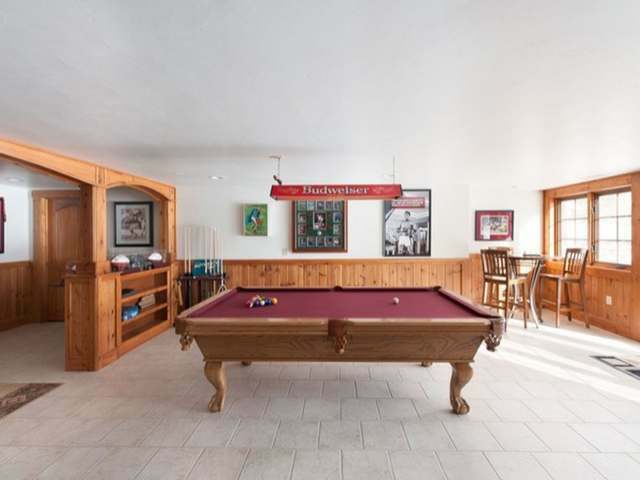 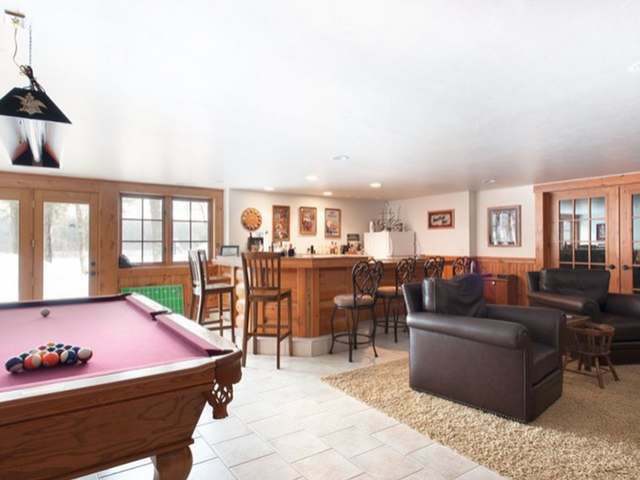 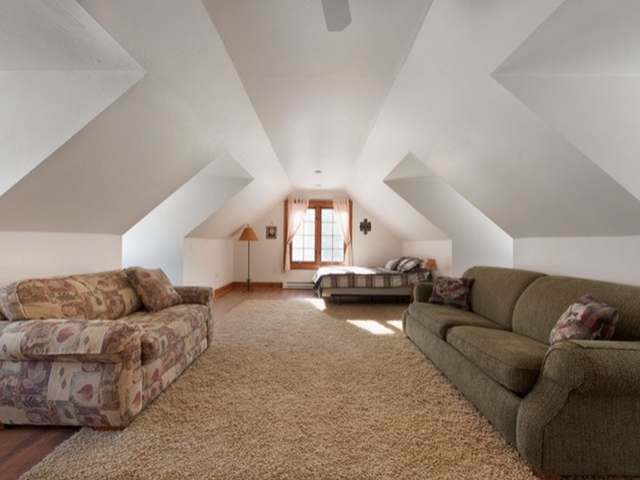 The finished lower level is perfect for entertaining with a bar & game room, bathroom and lounge area. Some of the many recent property enhancements include all new high efficiency HVAC systems, all new commercial grade gutters, graded and graveled drive with new concrete pads at house and garage, a new roof, tree removal and remediation, a property-wide water treatment system, and a cleared space for a new pole building, just to name a few.